All of our charter catamarans are modern and laid out for maximum comfort. 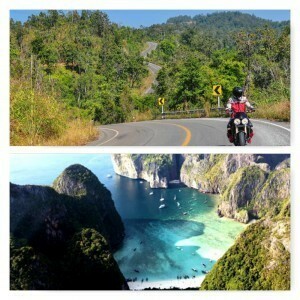 You will ride some of the most beautiful roads the world has to offer on one of our north Thailand motorcycle tours. You're flying half way around the world to one of the most beautiful places on earth, who wouldn't want to see and do the most they possibly could, while they are there? 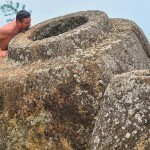 What we have done, is combine a vacation that includes the best curvy roads in north Thailand, with the most beautiful turquoise water & white beached islands of south Thailand, on a luxury, private catamaran (with skipper). We've set the itinerary this way so that you can pack all this into a 14 day vacation. We are the ONLY tour company offering this complete holiday experience, where you squeeze the maximum out of your vacation time. After a quick briefing on riding safely in Thailand, we will then get acquainted with the motorcycles, adjusting handlebar controls and rear view mirrors etc., we want the motorcycle to suit you before we depart. 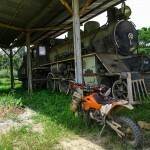 The first days ride, on this Thailand motorcycle tour takes us on what some say are the best roads in Thailand towards, the non-touristy city of Nan. We will ride just over 300km with plenty of refreshment stops along the way, on the perfect race-track-like, empty roads. 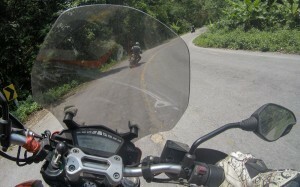 Some of the best curves in Thailand on the first day of this Thailand motorcycle tour. The second day of this tour and you'll now be pretty comfortable with the bike. 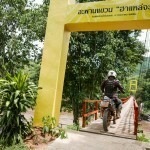 Today we will ride some of the border mountain roads that overlook the neighboring country of Laos. Around 300km of riding and we end up for the night in town Chiang Khong on the Mekong River, where there is a international border crossing into Laos. Relaxing in the evening, you will have picturesque views across the Mekong River into Laos. 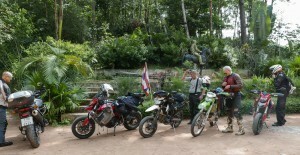 Riding the border roads on this Thailand motorcycle tour. We finish the day in the beautiful border town, Chiang Khong, which overlooks Huay Xai in Laos. The Mekong River is as tranquil as it gets. After leaving Chiang Khong, we will visit the Golden Triangle, where the 3 countries of Myanmar, Laos & Thailand meet. 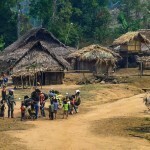 Heading westwards, into the mountains, we will pass through many different ethnic hill tribe regions, made up of Akha, Lisu, Lahu, Hmong, Tai (Dai) Yai & Gin ethnic tribal groups. Beautiful, flowing mountain roads take us to the town of Chiang Dao for the night. The days ride is around 350km. 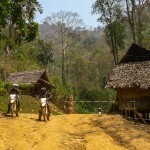 Meeting the ancient ethnic tribes on a Thailand motorcycle tour is a truly special experience. 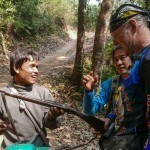 The infamous Mae Hong Son Loop, today we ride it. 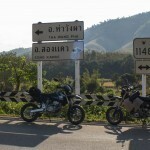 North west Thailand's most famous road with 1,864 curves and 10,000 gear changes! Perfect curves and great road surface takes us to the ancient, town of Mae Hong Son for the evening, a truly charming place high in the mountains. Today's ride is around 260km. 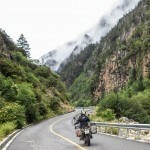 Riding to Mae Hong Son on a Thailand motorcycle tour is an experience you'll never forget. Endless curves and mountain views will keep you stimulated all day. A car will pick you up from your hotel in Chiang Mai & take you to Chiang Mai Airport, where a pre-booked flight will whisk you to Phuket, it's about a 2 hour flight. A car & driver will be waiting for you at Phuket Airport arrival lounge, he will then take you to the Catamaran ready for sailing the next day. The flight goes fast & in no time you will be on our charter catamaran in Phuket, Thailand. Beautiful turquoise water, crunchy, white sand and deserted islands, will make this the holiday of a lifetime, while you kick back and think about the amazing mountain roads you have just completed. A knowledgeable skipper & gourmet food from our chef will be with you to make sure you have the best time possible for the next 5 days. At the end of day 11, the catamaran will return to Phuket, where you can either fly home or we can arrange accommodation for you. Crystal clear blue water all around you as you eat breakfast next to deserted islands. Pre-tour arrival, we will arrange for you to be picked up from the airport and transferred to the hotel free of charge. The flight from Chiang Mai to Phuket is included in the tour price/ package. All meals and soft drinks are covered throughout the whole tour. Alcoholic beverages and snacks are not covered. We’ve found it best that everyone brings their own riding gear (helmet, pants, boots, jacket, gloves and knee protectors). 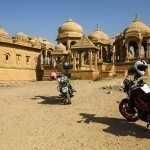 Asia except at high altitude tends to be warm during the day, vented riding gear works very well here. – Riding gear (helmet, jacket, pants, boots, knee protectors & gloves) – Trousers (1) – Shorts (1 to 2) – Underwear (quick dry) (3) – T shirts (quick dry) (3) – Thermal T shirt (1) – Flip Flops (1) – Training shoes/ sandles (1) – Hat (1) – Sunglasses (1) – Compact rain jacket (also good for a chilly morning) (1) The beautiful islands in the Phuket region. 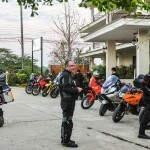 Bringing together a north Thailand motorcycle tour with a Phuket, luxury, catamaran charter (with skipper & chef included). We can’t think of a more idealistic, dream vacation, for your group. Scorching hot, great to leave Chiang Mai and head out on a Thailand motorcycle tour into the mountains around the Golden Triangle.